I am on the way to becoming a lactation consultant. I fear it may take me a decade, quite literally, but the ball is rolling. It was while I was in labour that My Amazing Midwife suggested that I also become a midwife. I wasn’t exactly eager at the time, but the seed had been planted. The amount that this woman, Anja, has done for me is astounding and beyond my wildest dreams for prenatal, birth and postnatal care, and I must admit that the thought of being that person for another mother-to-be is pretty tempting. But oh, the study. I have spent so many years of my life in universities, studying Biomedical Science, Occupational Therapy, Creative Writing, English, and Secondary Education. I have studied at four different universities. I was only working full-time for just over two years when we left Australia. So the thought of totally starting over again, going back to university study again, and probably even in German, is daunting, to say the least. And the lifestyle of a midwife is one that I’m not sure I could maintain. 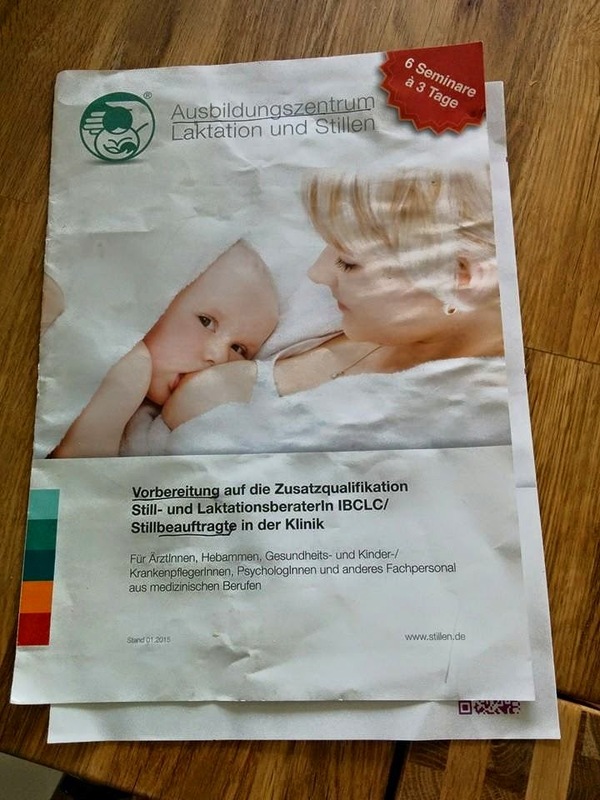 It was while she was working with me that Anja managed to obtain her accreditation to become an IBCLC (Internationally Board Certified Lactation Consultant). I realised that a lot of the support that I had received – both prenatally, in dealing with my past scars, and postnatally, in finding solutions that allow my little boy and I to have a breastfeeding relationship in our own way – was in her role as a lactation consultant. I feel as if I am so researched. Throw me any question regarding ways to boost milk supply, and I have the answer (big claim, I know, but try me.). I am so researched in both anecdotal and scientific evidence when it comes to the use of galactagogues, that I am just desperate to apply that knowledge to anyone besides myself. I have been in contact with the Human Lactation Research Group and the University of Western Australia. I must have spent many hundreds, if not thousands, of hours researching causes and treatments of low milk supply, the use of donor milk, tongue and lip ties, milk blisters, mastitis, over and underactive letdowns, etc etc etc. I absolutely adorewhen one of my mummy friends shares some breastfeeding story with me – either a personal achievement, a funny anecdote or a potential problem – and I am able to share in their joy or actually really help them. And so, I’m on my way. It isn’t easy to gain that accreditation, particularly if you aren’t already working in a hospital environment. There are many units of study that I will need to undertake, and some of these remain entirely out of my reach for now, but it is great to know that my ‘wasted’ university study in the science and medical areas are actually going to be acknowledged now and will fulfill some required prerequisites. There are some more units that I will need to study (all in good time), and then attend a few days of a full-time lactation-specific course, probably in Berlin. In German. Let’s presume I manage to go for four hours every saturday (and hope that my little bubba will be okay with Daddy and no boobie for that long). That would mean I will be there for 250 weeks. More than five years. Ha. Gotta start somewhere! And man, this is going to do wonders for my German! 🙂 Danke! Ich denke, ich bracuhe es! Ah, aber Honeybunny… ich habe keine Persönlichkeit, als ich Deutsch sprechen! Joh, this is really exciting!!! You will be wonderful! Have you heard of the La Leche league? It is an organization that really helped me. They are international. Are they any chapters in Switzerland? This is Kat by the way, not Johnny BW. Kat from Canada. Yes, it is SO exciting for me, and so good for my brain to be busy in this way. And yep, I am very very familiar with La Leche League and know that they do an amazing load of good to a lot of mothers out there. Respect. But it's not totally up my alley… there is not a total freedom of information there, which annoys me, and I had a bad meeting once with my first bubba that has really stuck in my heart. Good experiences since then, but I'd rather remain independent of any overarching organisation.